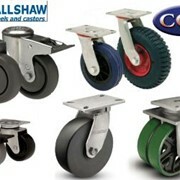 These wheels and castors are available in a variety of different formats including: industrial-premium, industrial-heavy, industrial-extra-heavy, cushioned tyred, cast iron, nylon, solid rubber, rubber, polyurethane, industrial-series 7 and industrial-series 8. Shepherd precision-made ball castrors are designed for applications and operating conditions where quiet, easy mobility is required. Users include retailers, furniture manufacturers, hospitals. Where hygiene is critical or if prolonged contact with corrosive conditions is anticipated, Lemcol offers a range of fully stainless steel castors utilising our medium industrial and institutional design. 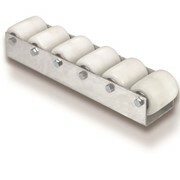 A fully fabricated heavy-duty frame coupled with a high tensile steel kingpin, ensure maximum strength and performance. 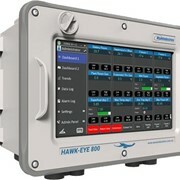 Load Capacities up to 10,000kg users include aircraft service, freight/baggage handlers, marine & engineering contractors. 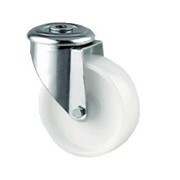 Waste bin castors have set the standard in this industry for many years. Fully welded heavy steel frames provide strength and durability even under adverse working conditions. 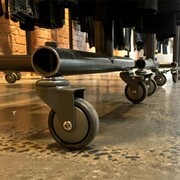 A very adaptable range of castors available in either swivel, fixed or bolt hole configurations. 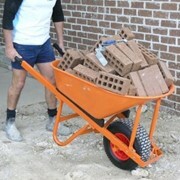 Load capacities up to 225kg. 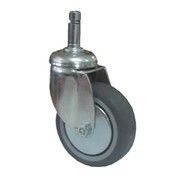 Pneumatic and cushioned solid rubber tyred castors are required where surface conditions or equipment carried requires some degree of impact absorption. Designed to meet extremely high loads, this range will provide reliable service where shock or impact might damage less rugged castors. 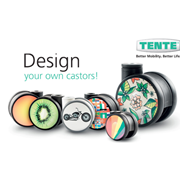 This range utilises the same time-proven frames as the heavy industrial range, with precision machined integral swivel race, and is coupled with a more economical selection of roller bearing wheels. The result of years of experience in the industrial market, the Series 7 range enhances the Lemcol reputation for ruggedness and reliability. 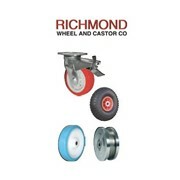 The Series 8 castor range completes our selection of industrial castors. Cold forming and fabrication of 6mm thick material provides a product of quality and reliability at a budget price. Manufactured to world standards, the strong metal construction ensures longer life and less operational down-time. light duty series is a strong but economical range that suits applications where minimal movement of light loads is required. 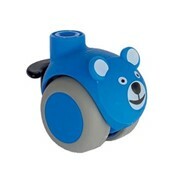 Load capacities up to 80kg. Lemcol Medium Industrial range has an exclusive large diameter swivel bearing race, spreading the load equally around the entire top plate. 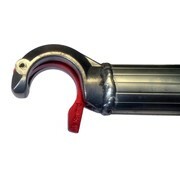 Plug or socket fittings are sized to fit most commonly used aluminium and galvanised steel scaffold tubing. Lemcol's Pnuematic Wheels available in 4", 6" & 8" offers the largest selection of tyre and bearing combinations available. Users include workshops, garages, factories, warehouses and manufacturers. 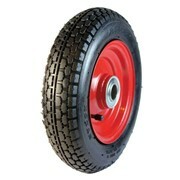 An economical wheel type offering extremely low rolling resistance, high capacities and the ability to withstand the greatest temperature extremes. 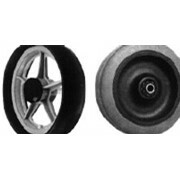 While having all the special qualities of rubber, cushion tyred wheels provide further benefit of improved shock absorbency. 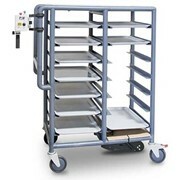 A low cost alternative while providing high load capacities. 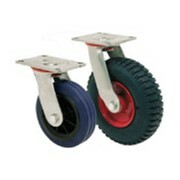 The most versatile of materials, polyurethane wheels are suitable for most applications from hospital trolleys to gantry cranes. Where possible, the minimum ply rating used on the Lemcol range is 4-ply, providing excellent durability in adverse conditions. 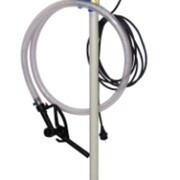 Usually selected for its shock absorbency capabilities where floor surfaces may be rough or uneven, combine the features of good load capacities.